Blenheim Palace is the only non-royal country house in England to be titled as a palace. This large estate is located in Woodstock, Oxfordshire, England and is the current residence of the 11th Duke and Duchess of Marlborough. Blenheim Palace was constructed between 1705 and 1722 as a gift to the 1st Duke of Marlborough. 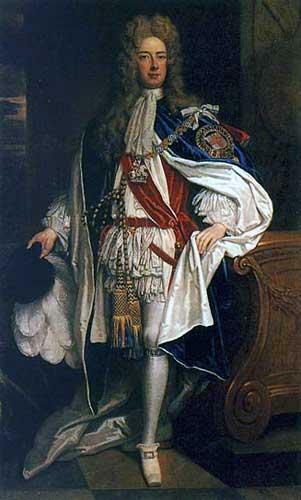 As the military commander, he led the allied forces to success in the Battle of Blenheim on 13th August, 1704. The Duke won the battle when he received the surrender of Marshall Tallard, the leader of the French forces. 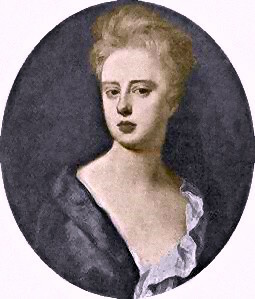 In return for his success, Queen Anne granted the Churchill family access to the Royal Manor and the park at Woodstock; as well as any funds necessary to build the Blenheim Palace. As a thank you for the gift, the Duke promised to address the Palace as a monument to Queen Anne. Controversy surrounded the chosen architect. The Duchess favored Sir Christopher Wren, famous for St Paul’s Cathedral and many other national buildings, whereas the Duke commissioned Sir John Vanbrugh. Vanbrugh, a popular dramatist, was an untrained architect who worked in conjunction with a more experienced architect, Nicholas Hawksmoor. The duo had recently completed the first stages of the Baroque-styled Castle Howard, one of England’s first houses in the flamboyant European Baroque style. Marlborough was impressed by this grandiose style and wished for something similar at Woodstock. The building process was paused in the summer of 1712 when the funds for the construction were terminated by the Queen. The Duchess was friends with Queen Anne prior to her becoming queen, and her influence over Queen Anne both personal and political was substantial. However, as years passed the two grew apart, and it was finally the quarrel about the house that caused the two to part ways. The Duke was forced to fund construction himself, causing delays in completion, which in turn caused trouble with the architect Vanbrugh. Disputes arose, especially as it was the Duchess who primarily dealt with the architect she never wanted in the first place due to the Duke often away on military missions. By 1719 Vanbrugh was evicted and the palace was completed by his associate Nicholas Hawksmoor. Blenheim Palace has remained the home to the Churchill family for three-hundred years. Changing fortunes occasionally led to the palace falling into varied states of ruin. One such period was toward the end of the 19th century, when the 9th Duke of Marlborough married American heiress Consuelo Vanderbilt. Newly found financial relief enabled the Duke to save Blenheim Palace from complete ruin and a new restoration process began to bring it back to what it once was. Early 18th century engraving of Blenheim Palace’s “Great Court”. Many other dukes made improvements to the property over the decades. For example, the park and gardens underwent major changes when the 4th Duke commissioned the services of famed landscape designer Lancelot Brown and architect designer William Chambers. The 8th Duke was responsible for the introduction of electricity, gas, central heating, and an internal telephone system to be implemented in the house. Other restorations completed included the restoration of the State Rooms, and added furniture throughout the Palace. The current Duke of Marlborough is committed to preserving Blenheim Palace, and it was also he who allowed the property to become a World Heritage Site in 1987. As for Sir Winston Churchill, undoubtedly the most famous person connected to Blenheim Palace, the future Prime Minister of Britain was born in the palace on November 30, 1874. His father was Lord Randolph Churchill, the third son of John Spencer-Churchill, 7th Duke of Marlborough. Young Winston (1972); Indiana Jones and the Last Crusade (1989); Black Beauty (1994); Hamlet (1996); The Avengers (1998) Harry Potter and the Order of the Phoenix (2007); The Young Victoria (2008); Gulliver’s Travels (2010); Cinderella (2015); Mission:Impossible, Rogue Nation (2015); and The Royals (2015).